Clean Care Mobile offers corporate and domestic clients a ladder-less window cleaning service up to five and six storeys high. CCM’s ladder-less cleaning uses the latest technology, incorporating carbon fibre and water-fed poles with filtered water. This system can be used internally, up to three storeys, and externally, up to seven storeys, with no squeegeeing or chemicals needed. Safety issues are dramatically reduced when cleaning office buildings as no scaffolding equipment or ladders are required. 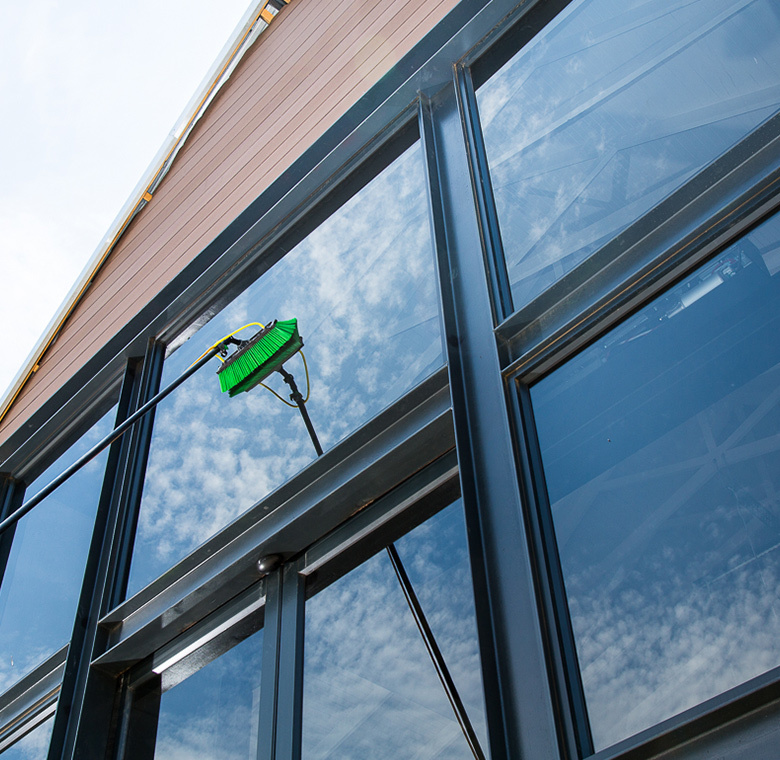 Our multi-storey window washing system is chemical-free and environmentally-friendly. Only pure, filtered water is used, which is fed through carbon fibre poles and results in the best possible clear view through your windows. We cater for all buildings, from private residences, to multi-storey commercial buildings and offices. Clean Care Mobile’s ladder-free cleaning method will leave any windows looking streak-free, without the frustrating inconveniences experienced in the past.